Have you ever looked at your blog’s analytics and wondered when the hordes of visitors are going to start showing up? You’re publishing great content and have something to say, but try as you might, those traffic numbers just don’t seem to be climbing as much as they should be. The truth is, it doesn’t have to be that way – you can get way more traffic to your blog and in this post I’ll show you how. 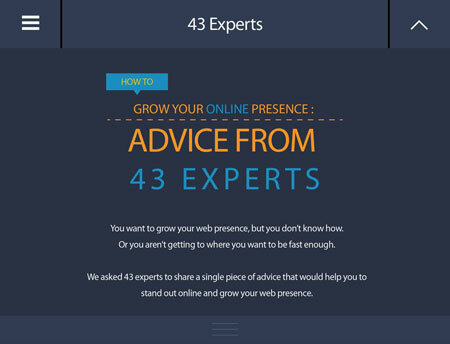 With the use of just a few of these tactics, you could see a 425% increase in traffic (yep! It’s happened). Blogging Wizard subscribers get access to exclusive guides, templates and checklists not found on the blog (including our step-by-step traffic generation checklist). Want to learn more? Click here. Before we dive into discussing specific ways to increase your website’s traffic, there’s something I need to mention. More traffic won’t always get you what you want. Your goal should always be to generate relevant and targeted traffic – which is exactly what all of the tactics and strategies included in this guide will help you with. A big part of this is knowing what you want people to do once they arrive on your blog, it’s one thing to want more traffic, but there has to be a reason for it. Once you have a clear idea of exactly what you want people to do on your blog, you can optimize your blog to improve the likelihood that it will happen – small tweaks can make a big difference with conversions. There are a lot of tactics listed below and when used in the right way they can have a huge impact on your traffic. For example, I’ve seen people put only a few of these tactics into action and see a 400%+ increase in traffic. Awesome right?! The key here is to focus on a single tactic, make it work and then come back to this post to try something else. If you try too many at the same time, you won’t see the traffic increases that you deserve. Traffic generation doesn’t start after you’ve published a blog post; it starts right at the planning stage. If you decide to write about a topic that nobody is interested in, you’re going to struggle to get traffic, no matter how good your content is. So how can you get a good idea of which topics to write about? Google Trends – This will show you a graph of how interest has increased/decreased over time. BuzzSumo – This tool will show you which topics are generating the most social shares. SEMrush – With this tool you can find out exactly what keywords your competitors are ranking for in Google and get an estimate of how much traffic those keywords can bring in. The important thing here is to ensure that the topics you choose fit with your content strategy and are focused on helping your target audience. Matching your audience up with the right topic is a huge first step in winning the battle for attention online. Certain content types may get more traction than others. 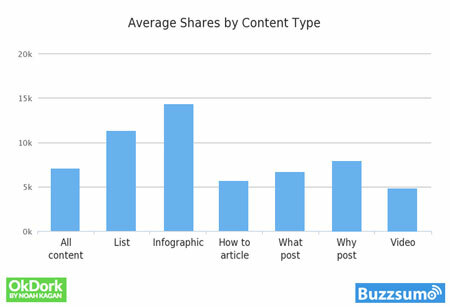 A study by BuzzSumo (and published on Noah Kagan’s blog) found that infographics and list posts received more shares than any other content type. On a personal note, the majority of my top shared posts are list posts and they are also the posts which generate the most referral traffic for me. Now that you’ve decided on a topic and content type, it’s time to think about how you can position your content to stand out from all the rest. The reality is that there are probably a bunch of posts on other blogs that are talking about something similar. The key is finding that element that separates your content from all of the rest. That might mean finding a unique angle, including more depth, adding more detail, improving usability or just giving away more information. Even if this average isn’t 100% correct today, one thing we can be certain of is that headlines matter. They can either make or break the success of each post you publish. 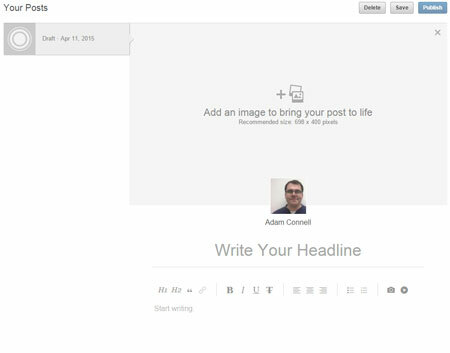 There are also headline writing tools like CoSchedule’s Headline Analyzer which can help you but the one thing that will serve you best which is the one thing these types of tools can’t replicate. It’s good practice to update your old content when possible. It will improve the user experience and help you get more traffic. When content becomes outdated, it becomes less helpful for users and chances are that it won’t rank as high in search engines anymore (freshness is a ranking factor). Don’t just update the information, also consider how you can streamline the user experience of the post and genuinely make it more helpful. Once the post is ready you could simply publish it as a new post under the same URL or choose to publish under a new URL (and add a 301 redirect from the old URl to the new one). Note: if your post is already getting traffic from Google you may want to stick with the existing URL and if you do change the URL, you will lose most social share counts (e.g. # of tweets won’t be visible). It’s also important to ensure that you promote this post as much as possible; you’ll get more traffic from social media, search engines and other blog’s if you do. Want more tactics that can give your SEO a boost? Check out my post on actionable SEO tactics to get started. Visual content is a big deal – fact. And there are plenty of statistics on the web that highlight just how important it is. Visual content will get you more shares, earn you more likes and ultimately get you more traffic. The image above was created in less than 5 minutes thanks to the help of a free tool called Canva. When you first start your blog, you’ll be starting from scratch but there are those in your niche that already have influence. When you write your next blog post, link out to other posts written by influencers that provide additional insight and complement your post, then you can let them know that you’ve mentioned them. One important caveat: don’t mention influencers for the sake of it, only mention them if it will add value to your post and help your readers. People love to share stuff that makes them look good. So when you say cool stuff about them in a post, chances are they’ll share it with their audience. Not always, but sometimes. How you let them know is up to you, I’ve found Twitter, Google+ and email to work well. The important thing is to just let people know you’ve mentioned them, don’t keep asking them to share your content. Note: this can also be a great way to build relationships with other bloggers. How do you find influencers in your niche? There are a bunch of helpful tools you can use here which include the likes of BuzzSumo. This post covers influencer research tools in more depth. From a reader’s perspective, interviews can be a great way to get another perspective on things as well as being a great source of inspiration. There are plenty of ways to position these interviews. You could do written interviews or you could start a podcast. A great example is John Lee Dumas who interviews entrepreneurs with inspiring stories. This is a great way of kick starting the relationship building process and chances are that the influencer will share the interview with their followers. When done right, group interviews can be amazing. It’s one thing to mention an influential blogger, but when you invite them to contribute; they are far more invested in the success of the post. I’ve had some great results from this; a post I published last year received a few thousand shares and around 5,000 visits within a few days. Think of this as guest blogging, but in reverse. It can be a great way of getting more content and expanding your audience at the same time. A good approach for this is to find out who is guest blogging on other blogs in your niche and invite them to contribute to yours too. Finding out what’s hot right now and writing about it is a great way to get more traffic. The key here is to monitor for new trends and be one of the first to write about them. There are a few ways to approach this, but one way that I see a lot of people doing is following larger publications, waiting for them to make a stir then publishing a post as a response. For more on this topic, check out this post by Ann Smarty. Repurposing your content is a great way to gain access to another audience. The reality is that we all prefer different mediums to learn. I prefer written content, but others may prefer audio or video. 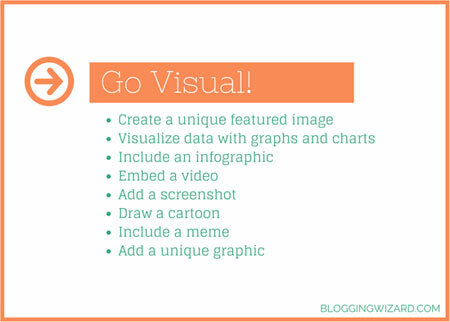 It’s also worth considering infographics and Slideshare presentations too. A great example of this in action is the post I mentioned as an example for group interviews. With the help of 24Slides and Niall from TweakYourBiz, it was converted into an infographic and published by TweakYourBiz. 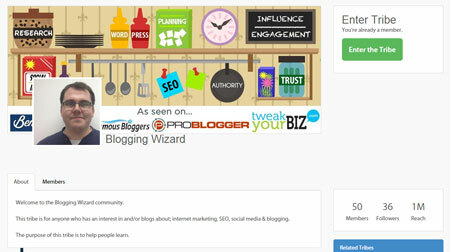 The repurposed post on Tweak Your Biz received 2,500+ social shares and more than 21,000 visitors. Design matters – when your site’s design is clear and crisp, people will want to keep coming back to it. You may find yourself being mentioned on other blogs and websites as an example to follow when done right. The great thing is that you don’t need to be a designer or developer to have an impressive blog design. So if you use WordPress, you’re in luck because there are so many impressive themes out there. Sure, you could use a free theme and there are some decent ones about but the best tend to be paid. A big part of traffic generation is keeping the traffic you have, so ask yourself this question – are there any elements on my blog that I don’t need? Everything on your blog must have a purpose that is focused around helping you achieve your goals. For example, do you have any blog directory badges that aren’t really helping you? Or are you displaying CPC ads that aren’t performing very well? Loading times are so important. Slow loading times have proven to cause a huge drop in conversions. While it’s true that page loading times are a ranking factor for search engines like Google, it’s only a small part of their algorithm so it may increase traffic but not by too much. The real benefit here is in keeping your existing readers coming back to your site and providing an awesome user experience. Load Impact – Checking your blog with this tool will show you how load times hold up with multiple simultaneous visitors. It will give you a clear picture of how your web host copes with traffic spikes. PageSpeed Insights by Google – This tool will give you an idea of exactly how to improve page load times. 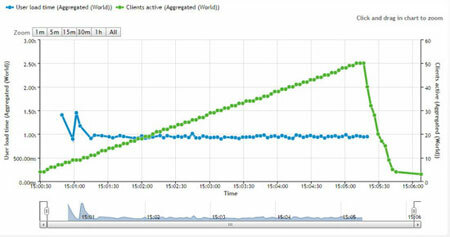 The green line shows more virtual users and the blue line shows the page load time. When you add relevant internal links to your blog, you make it easier for people to find your best content and you also make it easier for search engines to index your content. Don’t add internal links just for the sake of it; add them only when you feel it’s relevant and helpful to readers. It’s important to make it easy for your followers to share your blog posts. But adding too many social sharing buttons could potentially have a negative impact. The key is to identify the most important social networks for your audience. If your content is written for small businesses, it may be helpful to include a LinkedIn share button. So how can you add share buttons to your blog? Most blogging platforms will have their own options built in but if you use WordPress.org there are a wide range of plugins you can use to add uniquely styled share buttons. Read this post to find out more. Earlier we discussed the importance of visual content. And while visual content alone will help you get more traffic, it’s important to make it easy for your readers to share your visual content. Related note: check out Elna Cain’s post on driving traffic to your blog from Pinterest – it’s easy to get started. This can be a great way get more social shares for your blog posts and in turn, more traffic. For example, on some posts I add a phrase or quote that people can click to tweet. Better Click To Tweet – Free plugin which is easy to use but only comes with a basic design. Social Snap – This plugin does far more than just adding sharable quote boxes. It’s a full on social sharing plugin that comes with plenty of features you can use to get more traffic from social media. Alternatively you could try using ClickToTweet.com but its more time consuming and you can only use regular hyperlinks instead of the funky widget in my example above. Out of all of the other tactics in this post, the most dependable is this one. Social networks may come and go but your email list will always be yours. The truth is that there are a huge number of specific tactics you can use for this so it’s worth reading this post to find out more (you probably won’t need to read another post about building your list after reading it). As your list grows, the more traffic you’ll be able to send to your latest posts. A lot of people tend to send out emails about their latest content which includes links to a few posts. It works and that will get you traffic, but there may be a better way for you. For example, I usually send each email with a single goal in mind. If I want my subscribers to read my latest post, I won’t ask them to do anything else. Well, most of the time! Recently I wanted to see what would happen if I sent emails asking my subscribers to read more than 2 or more posts. Click through rates dropped by almost half! I’m not saying this will definitely be the same for you and there are some circumstances where you have to email out links to multiple posts. For example, if you publish a lot of content and want to avoid emailing your subscribers too often. But this is definitely something worth testing for yourself. If you publish evergreen content, it’s a good idea to setup an auto responder to get the word out to your new subscribers. This ensures that your subscribers don’t miss out on some of your best content. If you send a lot of emails, linking to your blog can be a great way of driving a bit of extra traffic. You could also take things a step further by linking to your latest blog post – this is made easy thanks to tools like Wisestamp. You might be thinking, how can this be a way to drive more traffic to your blog? The simple truth is that in the long term, anyone who uses dodgy link building tactics will get less traffic from Google than someone who didn’t. For more advice on finding the right approach to link building, read this post. Growing a presence on social media can be a great way to increase your traffic but it can’t be done without being present. The more you venture out onto the web and engage with others, the faster your following will grow and the more influence you will have. Triberr is an incredible social platform for bloggers. The platform connects bloggers who have similar interests and makes it easy for people to share each other’s content. It works on the reciprocity principle, so the more you share other peoples content, the more shares you’ll get. Another great way to utilize Triberr is to setup your own tribes and invite other influencers. A while back, LinkedIn opened up its publisher platform called the Pulse which means you can publish blog posts directly to LinkedIn. Occasionally, articles will be picked up and featured on the Pulse so they can potentially be a great form of traffic. If your content is written with businesses in mind – this is worth trying. Find out more about how to leverage LinkedIn for traffic in this post by Brian Lang. 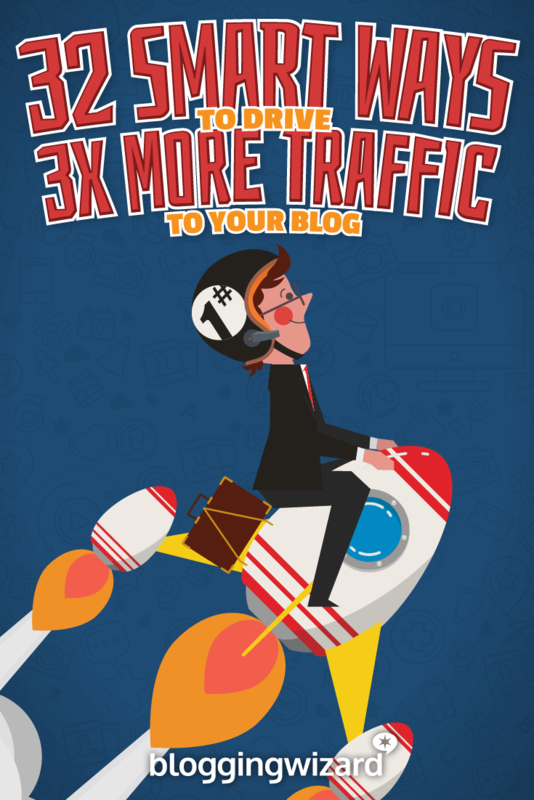 This is one of the most effective ways to increase your blog’s traffic. Let me be clear – you’re not going to get floods of traffic in most cases and the time required to invest in this tactic is pretty high. But, what matters here is that guest blogging is a long term strategy and what matters more than traffic is building your online presence. Building your authority and making yourself known is one of the main benefits. This will pay off in the long term. You may need to start off on small blogs first and work your way up to the larger publications, so stick with it and your blog will grow faster. What about selecting blogs to contribute to? That means real comments and real social shares. There are plenty of “top lists” of blogs within any number of niches which you can easily find using Google but it makes sense to leverage your existing contacts first. Instead of pitching random blogs, ask the bloggers in your niche whom you already have an existing relationship with. How should I pitch other bloggers? Connect with them first (via social/comments/email) and only pitch once you’ve got to know them and their blog better. When you do pitch them ensure you frame your pitch in a way that makes it all about how your post will benefit them. Read this post for more on blogger outreach (it includes a really effective process that works well). There’s one thing that I wish I’d done differently when I first started contributing to other blogs. And that’s using them to build an email list. So how can you build your list this way? Sue Anne Dunlevie put together a helpful post on using guest blogging to build an email list which covers the process in more detail, find it here. This is a great way to help you become more visible within your niche but it has to be done the right way. You shouldn’t just go around commenting on blogs just to get a link back to your site or open with “hey you should totally check out this tool/site [insert link], you should add it to your post” – that’ll do more harm than good. The reality is that you probably won’t get much in the way of direct traffic but that’s not what commenting should be about. Focus your comments around being helpful and building a relationship with the blogger. The results you’ll see will be more indirect than anything and take a while to build up but these relationships will open doors for you. The truth about traffic generation is that while it’s easy to see certain tactics as being free, they aren’t really. You pay, but with your time instead of money. And your time is valuable. The great thing is that there are certain platforms that make it easy to get high-quality traffic, without paying through the nose for it. Occasionally I use Outbrain and StumbleUpon Ads – I’ve had some great results with both platforms, but StumbleUpon is particularly useful because you get a chance to earn viral traffic that you won’t pay anything extra for. This is one of the most challenging tactics, but it can also be one of the most rewarding. I’m not sure exactly how much traffic this tool gets but the fact that it’s earned links from over 1,100+ referring domains and 1,000s of social shares leads me to believe it could be a huge amount. This works because it solves a real problem that people are facing and it’s completely free. With all the different tactics available for us to try, it’s easy to forget one of the most effective. So open up your analytics tool and take a look at exactly which channels/websites are sending you the most traffic. 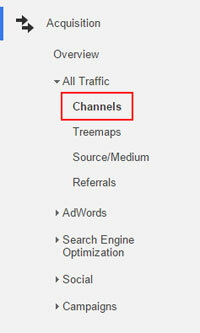 If you use Google Analytics, you will find it helpful to first look at which channels are sending you the most traffic. To get to this menu, click the “Acquisition” tab, then “Channels”. You can then filter these results to find out exactly where your traffic is coming from. Using tools like Help A Reporter Out (HARO), you can find PR opportunities easily. Journalists all over the world need expert sources for their stories and you could be one of those experts. Just sign up for a free account and you’ll start to get emails with opportunities through. Keep an eye out for one that’s a good fit and send them a pitch. Keep your pitches succinct and highlight why you’re a good fit. In the past I’ve used this tactic to get featured on HuffPost, CIO and more – each response only took me around 10 minutes, not bad right?! If you don’t’ ask, you don’t get. Sometimes you can get a great amount of traction just by asking your contacts to help spread the word about a post. But, try not to use this too much – other bloggers likely have inbox’s full of emails from people asking them to do something to help them out. So use this sparingly and be careful how you position your pitch. It all comes down to creating good will and if you just ask for help all the time, it’ll run out. You’ve now got plenty of tactics you can use to start getting more traffic to your blog, but it’s important that you pick the tactics that are the best fit for your blog and will provide you with the most relevant traffic. If you haven’t already, make sure you’ve got an analytics tool setup. Don’t rely on stats provided by your web host, get a third party tool like Google Analytics setup. Click here to join the Blogging Wizard newsletter – you’ll get a traffic generation checklist and a bunch of other helpful resources to grow your blog. Once you’ve got the checklist, pick a tactic from the list and work on implementing it. You could try multiple tactics but this works best if you focus on one. So go out there and get started! Adam used to manage the content marketing efforts for brands earning well over 8 figures in annual revenue. Now he teaches bloggers how to create a blog that thrives in a noisy online world. Click here to get exclusive content you won't find on the blog.